Thai Foot Massage is as unique and powerful therapy combining Chinese reflexology, Shiatsu and traditional Thai Massage techniques. It is a treatment of the feet and lower legs that involves hands on stretching and massage to “open” Sen (energy) lines, together with the use of a stick to stimulate the reflex points on the foot, each of which correspond to the internal organs of the body. Thai Foot Massage stimulates these points to promote health and well-being. 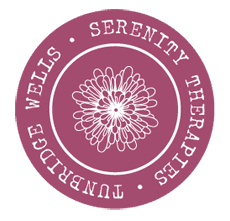 It is believed that blockages within the flow will result in illness and pain and, by working along the Sen lines, blocked energy can be released and functions balanced. Most traditional massage focuses on tissue manipulation and the working of the muscles surrounding joints. Thai Foot Massage barely touches on these. It is more a gentle rhythmic working of the pressure points, energy lines and body forces which, together, produce a highly effective therapy.